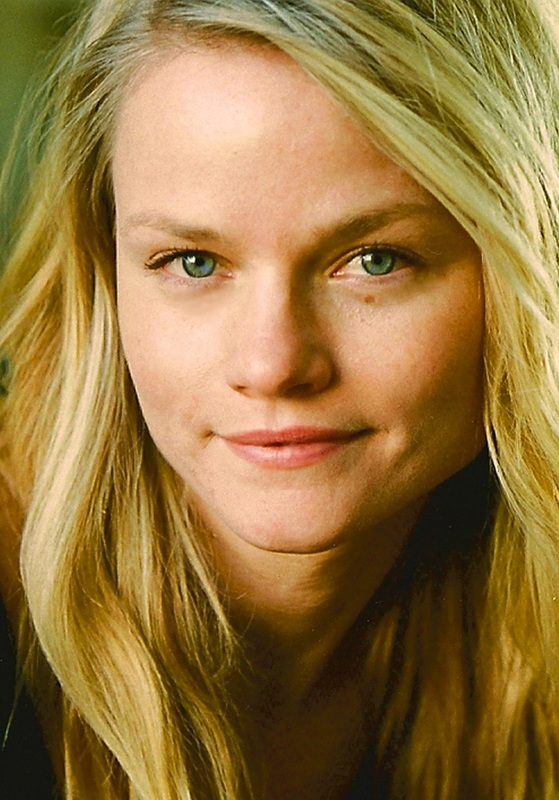 Last December we learned that Lindsay Pulsipher was cast in Season 3 of True Blood as Crystal Norris. In an interview with IESB.net Lindsay talked about how she will always remember her experience working on The Beast, as well as her excitement for fans to see her in her latest role as Crystal Norris on Season 3 of True Blood and how she hopes to continue to play a wide variety of different characters in her career. Below is part of that interview that includes some information about her and the section where she talks about True Blood. IESB: How did you get into acting, as a career? Lindsay: It was a couple different things. My mom was an actress. She did some theater when I was a little girl and I remember seeing her in that play “You Can’t Take It With You” and thinking, “Wow, that’s my mom, but I don’t recognize her at all. She’s a different person.” It just looked really exciting, so I got into some theater groups and did children’s community theater. And then, as I got older, film was really inspiring to me. Women like Julie Christie and Ellen Burstyn, and all these amazing actresses of the ’70s, were very inspiring to me, so I thought, “Maybe I should try the film world,” and I took it from there. IESB: You’ve recently been cast in the very popular vampire series True Blood on HBO, as Crystal Norris. What can you say about your character on the show and how she fits into the storyline for Season 3? Lindsay: I don’t know much about my character yet. She’s a mysterious girl. She does encounter Jason Stackhouse (Ryan Kwanten), in a funny way, and they have this amazing connection, and it goes from there. IESB: Had you been familiar with the series at all, prior to being cast? Lindsay: I had watched some of the series, but I had not read the books. I know that Alan Ball doesn’t necessarily stick 100% to the books. IESB: How has it been to work with Ryan Kwanten? What’s the difference in the dynamic between the relationship that you have with him, and the one that you had with Travis Fimmel on The Beast? Lindsay: Ryan auditioned with me and he’s an amazing actor. He’s extremely giving, spontaneous and innovative, and he’s super-humble and almost shy. I’m blown away by how great he is. And, Travis is great, in his own way. He’s also an amazing actor. He approaches his work very passionately and really cares a lot about his work. He’s an extremely devoted actor. We had a lot of fun on set. He’s very playful and was very spontaneous as well. IESB: When you play out relationships, how do you feel about having to do the more intimate scenes? Is that difficult for you, as an actor, or do you see it as just another facet of your job? Lindsay: It’s definitely another facet of the job. As long as I allow myself to look at it through the character’s eyes, as opposed to my own eyes, I don’t really have a problem with it. IESB: You started with The Beast on day one, but you went into True Blood as the new guy. Is that a nerve-wracking experience? And, does that also give you an appreciation for the people that came in to guest star on The Beast while you were there? Lindsay: Yeah, definitely. With The Beast, we all started together. We shot the pilot together and all of our castmates were new, from day one. It was a family that grew. Coming into True Blood, especially now, when it’s a really established show with a huge fan base and with the caliber of people that are running the show, it’s definitely different. I’d be lying, if I said I wasn’t a little intimidated to come into the show. But, I have to say that all of that quickly dissipated, as soon as I met everybody. They were just so nice and welcoming, and friendly and professional. All the actors on the show are just so great and I’m so impressed with everybody. It was a little bit like starting your first day of high school, or any new job, but that quickly all went away. Everybody couldn’t be cooler. IESB: When you’re involved with such quality programming, with both The Beast and True Blood, does that raise the bar for you, as an actor, as far as the type of projects you want to be involved with? Lindsay: Yeah, definitely. I’ve always wanted to maintain a certain caliber of work, and I feel so blessed. Even with the guest spots that I’ve gotten, up until this point, I feel very fortunate to have worked with the people I have and I’d definitely like to maintain that. IESB: Are there any particular types of roles or specific genres that you’d like to do, but haven’t gotten the chance to do yet? Lindsay: I feel really fortunate with what I have been able to do. I’d like to just do as much variety as possible. I never want to feel stuck, or like I’ve been typecast. I would love to be able to have a broad spectrum of work. Whatever that next character is, I hope that it’s something I’ve never played before. I hope I get to play lots of different varieties of characters. IESB: When you’re not acting, what are you passionate about? Lindsay: I play in a band. I paint. I just got a new dog that I’m very excited about. I love watching movies. Films are probably my favorite escape. I love all different types of films, from every decade. I definitely have to keep myself creative, outside of acting. You’ll go crazy in this town, if you are just focused on acting. I think you have to have something else going on in your life. Thank you, Lynn. This is my first acquaintance with Lindsay. I look forward to seeing her on True Blood and watching that special connection with Jason play out.